Dri-FIT Fabric – Moisture management fabric which helps to keep moisture away from your body. Ergonomic side-seam panels – To give you an enhanced fit and superb comfort. The Nike Legend Dri-FIT Poly Men's Training T-shirt delivers an ultra-lightweight feel and superior performance, taking it beyond basic to downright essential. 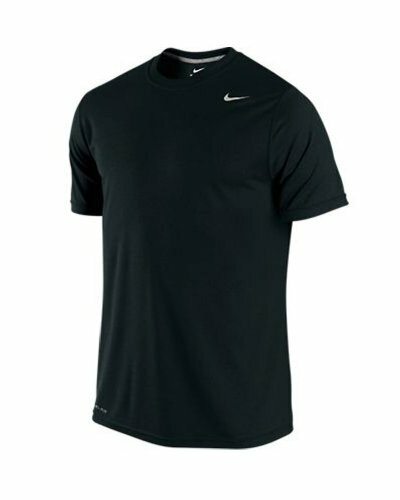 Dri-FIT fabric to wick sweat away and help keep you dry and comfortable. Fitted to move with you and stay out of the way, all day. Seams designed to reduce distraction and bulk.